A Vuly Halloween: Spending a spooky night in your trampoline. A very Vuly Halloween: How to spend the spooky night in your trampoline. Halloween is one of those classic American traditions that’s becoming so popular here in Australia. Maybe it’s the chance to dress up in outrageous costumes, maybe it’s the litres of fake blood and grotesque false teeth or maybe (and we think that this is most likely) it’s the sweets. 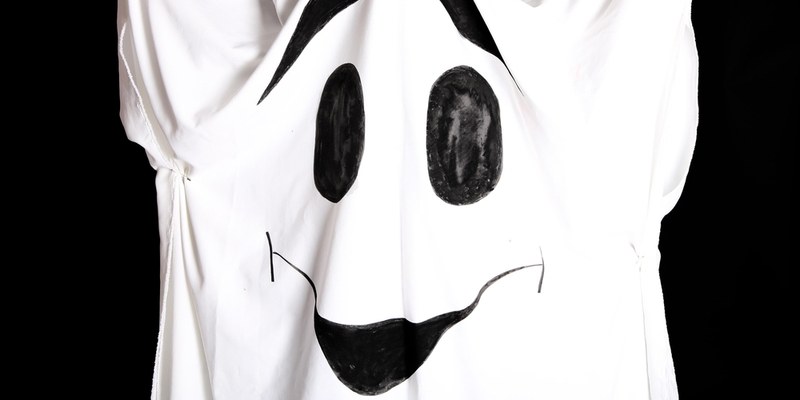 Today, we tell you our 3 dead easy ideas that’ll have your kids screaming with fun this Halloween. Your kids will be dressed up, maybe even in the superhero outfit that you made together; why not dress up the trampoline, too? For Halloween night—either after the kids have been out for an early trick-or-treat, or if you’d prefer them to stay in your home—turn your trampoline into a Jack-o-Vuly or a hair-raising ghost! Simply find an old white sheet (making sure that it can fit all the way over your enclosure) that you’re no longer using, and paint on a design using black paint! For a Jack-o-Vuly, paint on the scary mouth that is traditionally carved into a pumpkin. Then, drape it over your trampoline, and give your kids an orange-bulbed, outdoor light to bring inside later that night. Alternatively, paint on a ghost’s face, and send in a bright, white light. Be creative! If you and your kids are fine artists, paint on an entire nightmarish scene, and use a blood-red light to cast the shadow over the backyard. Remember: Throw over your sheet first, and mark out which areas will be draping over the sides of the net to paint on. Are you keeping the kids in this year? They don’t have to miss out on the sugary fun! Although we’ve given you great ideas for healthy snacks before, these ones are strictly ‘special-occasion treats’. While your kids and their friends are out in your spook-ified Vuly, bring them some sticky goodies from beyond the grave. If you cannot find black gel colouring, mix equal parts red, blue and green gel. 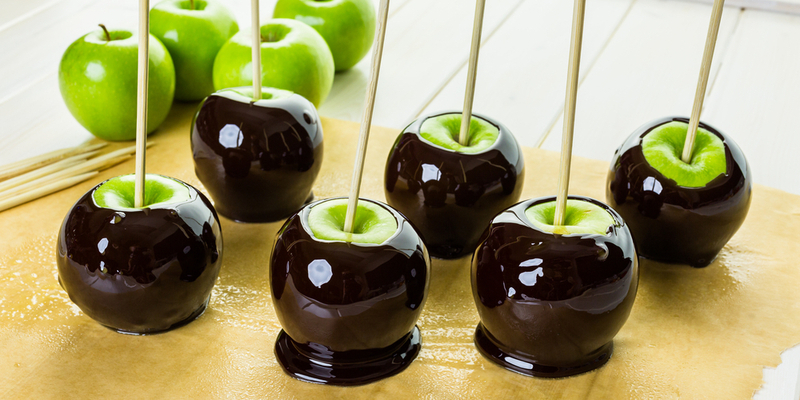 Place the apples on a sheet of baking paper, and pierce them through with skewers. Lay another sheet of baking paper on a tray, smear on some butter and set it aside. Place the sugar thermometer in a medium saucepan, and add in the sugar, 3/8 cups of water, and glucose. Whisk the syrup over medium heat until the sugar has dissolved. Let the temperature rise without stirring, until it has reached 150? C—the 'toffee stage'. Remove the saucepan from the heat, and carefully remove the thermometer. Add your food dye, and swirl the saucepan to completely mix it in. Twirl the apples through the candy mix, lightly shake off the excess and place them onto the sheet of buttered baking paper. Lay a sheet of baking paper on a tray, smear on some butter and set it aside. Simmer 10 cm of water in a medium saucepan. Hand whisk the egg whites and sugar in a medium, stainless-steel bowl over the water until the whites are warm and the sugar has dissolved. Transfer the mixture to another bowl. Gradually add the vanilla and cream of tartar, while whisking with an electric mixer on low-medium until the mixture is firm. Increase the mixer’s speed to high, and whisk the meringue until stiff and glossy. This should take between 5 and 7 minutes. Transfer the meringue to a piping bag, and snip off the end to about 4 cm wide. Pipe out 10 cm ‘Meringue Ghosts’ onto your tray. If you're really patient, you could mould a few meringues into bones! Put them in your oven, at least 20 cm away from the grill, and heat until the tips are brown. 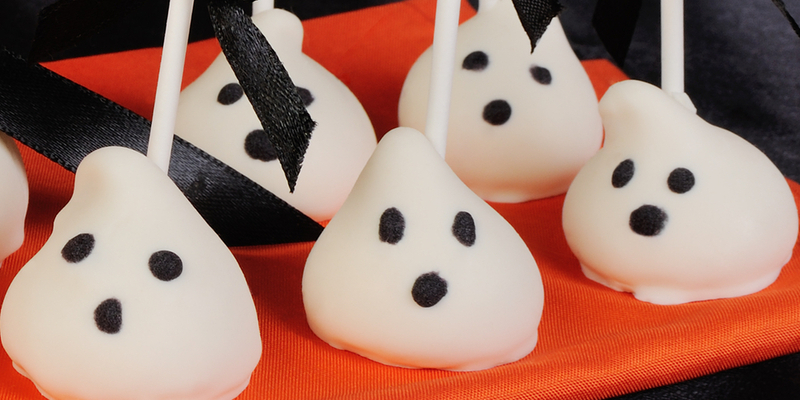 Use a small brush, or cooking utensil, to draw little faces onto the Ghosts with cocoa powder. Throw up some cobwebs, and let the kids bring their favourite scary toys into the Jack-o-Vuly for a frighteningly good sleepover. 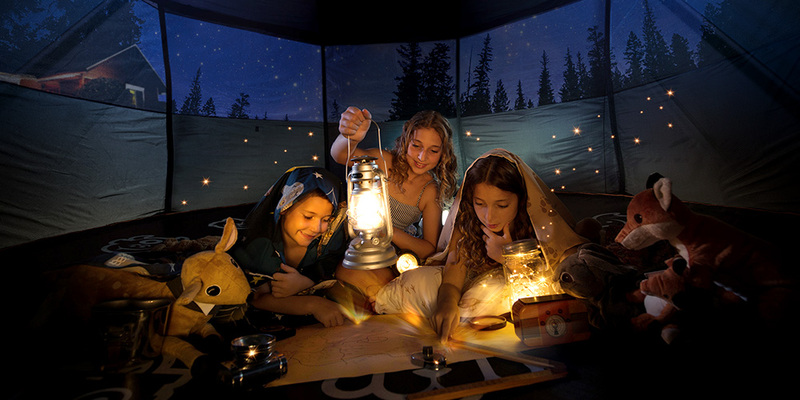 We’ve given you some fun trampoline tent camping ideas in the past, but make this night in extra Halloween-y with ghost stories. Load up your iPad with some macabre children’s favourites, like The Corpse Bride or Coraline. Don’t be surprised if you hear some shrieks! What other Halloween plans do you lay out for your kids? Do you join in on the fun with them? Once you see the gory costumes and tasty lollies, you might just want to!